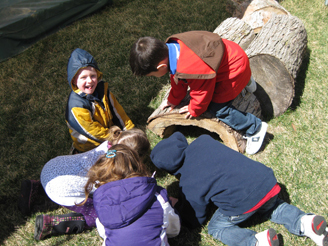 The children at Jack and Jill Preschool enjoy working together in their Nature Explore Classroom. 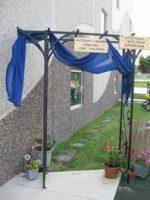 The Jack and Jill Preschool “nature” area had its beginnings in the fall of 2010. The children were introduced when it was only a grassy area. Discussions with staff and children were held to define additions and to start developing the areas. Although limited on space, all available square footage was used to include all the recommended areas needed for certification. 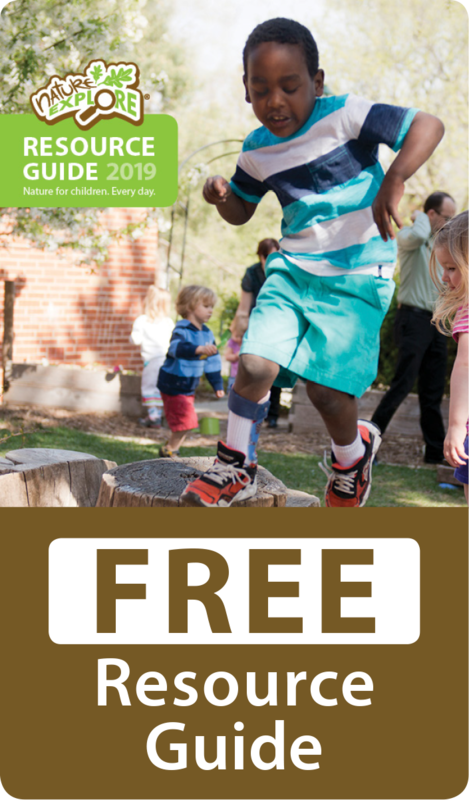 An arbor and willow fencing define the Nature Explore Classroom, while lilies, grasses and raised flower and vegetable beds separate areas. Durable tree stumps and benches have been added for seating. Wooden signs and cards identify areas. Photos of children fully engaged in a specific area may also be attached to these signs. 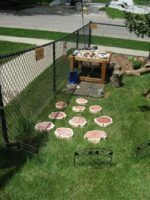 Trees, tree blocks, tree stumps, mulch, rocks, sand, dirt and small logs add interest in the Climbing/Crawling Area and Messy Materials Area. The Music and Movement Area contains various musical instruments such as tambourines, small drums, wood tappers, scarves and bells. A large set of bongo drums was the most recent addition. Tree stumps have been added in this area to allow others to sit back and enjoy the music. 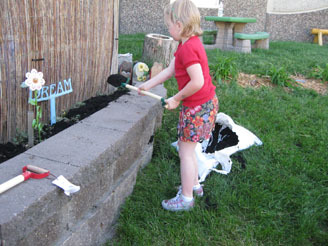 Using child-sized tools to add and spread soil to planting areas allows children to explore measurement concepts such as length, area, perimeter and volume. These experiences lay the groundwork for later, higher math skills in subjects such as geometry. Working together, the children at Jack and Jill Preschool learn to share ideas, negotiate, make decisions, decide on tasks, and problem solve together.